We were able to celebrate being honored as San Diego's Best at our recent manager meeting. We work hard to continually improve our service, knowledge and capabilities at all of our San Diego locations. Our team members are grateful to be recognized for these efforts. 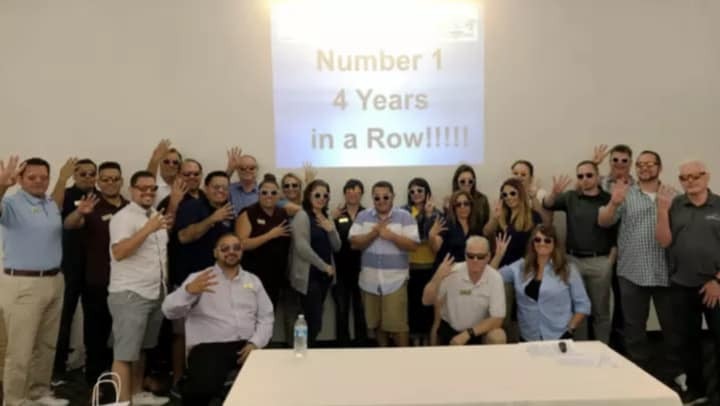 In this photo, the managers pose for a team picture and flash four fingers, symbolizing our 4th year in a row of being named San Diego's Best! Thank you!